Embrace yourself.... beauty products hall of fame is swarming your female magazines next month!!!! And I warn you.... this is a long post. Read on if you want to know how advertisement exploits your decision-making and forcing you to spend the money on products you don’t need. 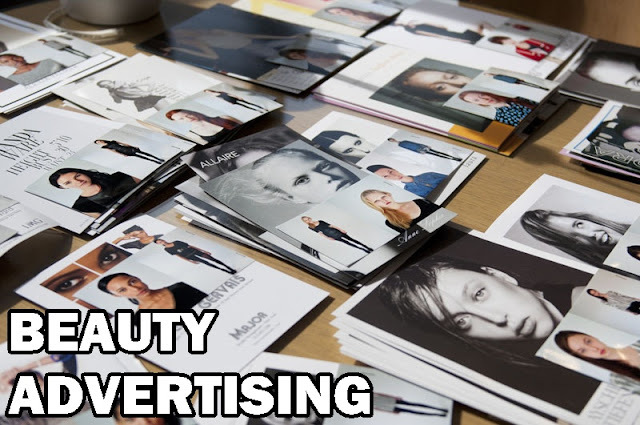 A while ago, I remember telling my BFF about the ins and outs of advertisement in beauty magazines. I thought I might as well share it with you all here. I hope these tips can educate you more on how beauty advertising works so you know where not to stick your money to. I have a China friend who buys into advertisements all the time. Whenever there is a new product heavily advertised, she immediately assumes it is a best seller. She almost bought the entire Aesop store because the brand keeps appearing in magazines (this was in Australia). At the end of the day, she bought a lot of products she doesn't need like scalp mask (who needs scalp mask? ), just because the magazines featured them as best-seller. Advertisement should serve only as a notification; don’t let them hypnotize you to buy things you don’t need. From a marketing point of view, advertisement is a selling force. But as a consumer, you shouldn't let that affect your spending. Treat advertisement as a medium that tells you that a particular product exists. That’s all. After that, ask yourself if you really need it? If yes, don’t buy it immediately, but make your own research whether the product suits you. Check out other alternatives as well. In the end, evaluate and make an informed decision whether you should really spend your money on it. Remember this, if you see a lot of advertisements of a particular product, it means that the company has allocated a bigger budget on marketing the product. And not because it is good. So many people fall into this because a lot of women (ahem... me too) usually have a stack of reliable magazines they stick to. The "hall of fame" section is just another advertising space for magazines. I don’t blame magazines for doing this, after all, they have staff to feed and office rental to pay. In fact, it is a very smart way for them to change the conventional advertising into something which would engage readers. But you.... you have to be smarter than that. These Best of Whatever segment only appears at the end of the year (normally December issues). Notice that? Why??? First of all, most people get their bonuses at the end of the year. Which also means, people have more purchasing power. Psychologically, when you have more purchasing power, you tend to be more willing to spend and buying process becomes easier - like you just close one eye and hand over your cash immediately. This is when the marketing agent wants to milk the most out of your pocket. Secondly, company needs to prepare accounting reports at the end of the year. This is when they need to meet their sales target (if they haven’t already) and produce good figures in their closing. The fastest and easiest way for them to do it, is through magazines. All they need to do is to pull out a photo file from somewhere in their computer, write a few lines of words that give the most selling impact. And they’re done!!! You’ll be reading it and rushing into the store to buy it. When I was working in an advertising agency, I see a lot of magazines sending proposals to beauty brand clients when the year-end issue is near. They will keep calling and telling us, “You sure you don’t want to feature your PANDA EYES EYE CREAM in our Best Eye Cream of the Year section? We will save the space for you, ok? If you don’t revert to us by this afternoon, we will have to give your competitor the space”. Yeah... it’s true. Normally, to feature a product in that section requires lesser fees compared to buying a whole page of advertisement space in the magazine. Notice that, sometimes a product which never advertise in magazine gets featured in this section? Maybe there are few magazines that genuinely compile their own data and come up with their own “hall of fame” products. Just be aware and evaluate yourself which one to trust, and which one not to trust. I never believe in this tag line. Not that it’s so cliché. But common sense tells me that, it is totally impossible. Then how did they come up with that figure? The company will pick the stats of the day where they sell the most. For example, today company XYZ is having a one-day promotion for their SQUEKY CLEAN FACIAL WASH for RM1 per tube instead of its usual price of RM30. Consumer will take advantage of the great deal and purchase as many SQUEKY CLEAN FACIAL WASH as they can. There will be a lot of people buy more than one tube, and maybe a few that will buy dozens of it. 7 tubes of SQUEKY CLEAN FACIAL WASH IS SOLD EVERY MINUTE!!!!! And for the life time of the product, the tagline is stuck to every advertisement campaign. Well.... It’s 7:30am already. I have to run for work. But if there’s anything else, I will add on to it tonight. Cheers. And have a great day at work.